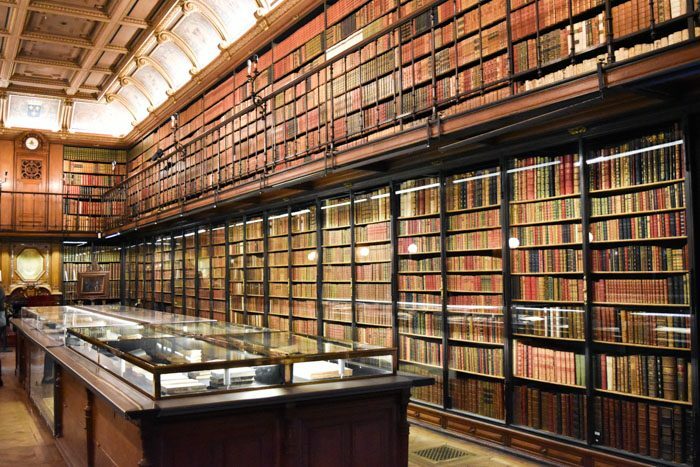 There are so many incredible places in Paris for lovers of literature to visit that we had to divide this guide into two parts. This post covers all the interesting places you can visit that are NOT bookshops. 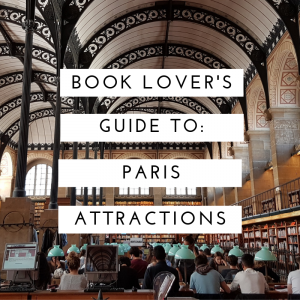 If you’re in need of places to buy or browse books check out our Book Lover’s Guide to Paris: Bookshops edition, if you’re in need of quiet libraries and other literary locations then read on! 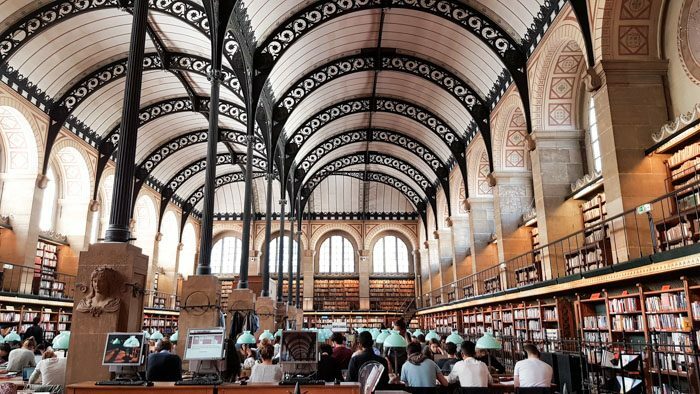 The Saint Genevieve library is a university library, built hundreds of years ago but still in use today by students, scholars, researchers and more. It’s stunning and awe-inspiring, filled with around 2 million books, letters, and other written documents. The exterior, though stunning in its own right, is imposing and austere, as though meant to dissuade people from entering – and we very nearly didn’t, which would’ve been a great shame. The interior, however, is majestic, opulent, and welcoming. Soaring ceilings, heavy wooden fixtures, and expansive open spaces filled with desks and shelves greet you when you enter, and dissuade you from ever leaving. Make sure you attach yourself to a tour and have a wander around, it’s a beautiful building and a booklover’s dream. Panthéon (where author Victor Hugo is buried), so you can tick off two incredible historical sites in one visit. 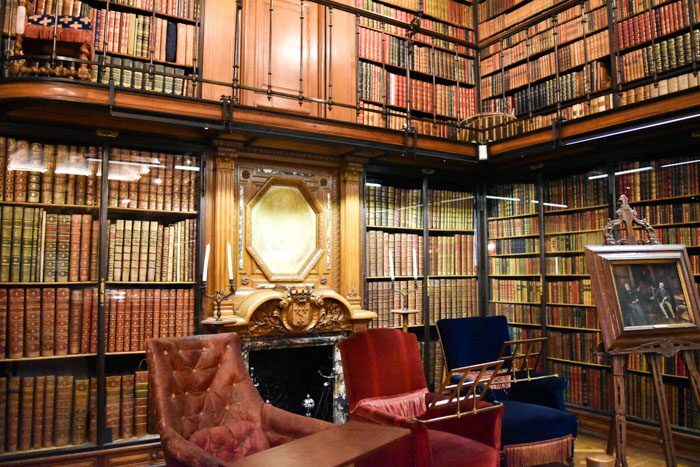 Located inside the Château de Chantilly (a beautiful palace under an hour from Paris by train), this private library is both majestic and intimate. 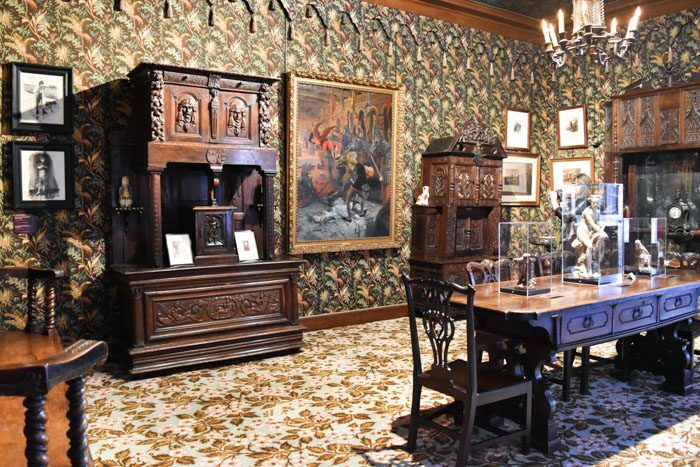 Once owned by the Duke of Aumale, the collection is a sight to behold. Though the library is a small part of a magnificent palace, it’s nevertheless luscious and vibrant, with dark, rich hues conveying an unmistakable air of wealth and sophistication. The entire palace is wonderful, so make sure you tuck away at least a day to explore every inch of it, and take the time to listen to the audio guide. X-factor: One of the owners of this palace had a fondness for horses, and to this day they perform horse and equestrian shows in the enormous stables. Be sure to catch a show or explore the museum. 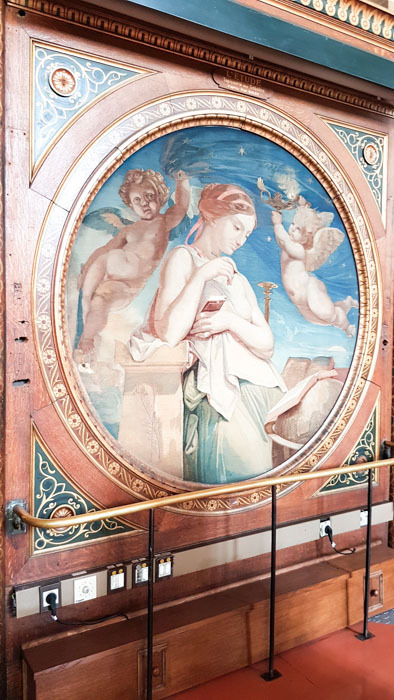 The house of Victor Hugo simply cannot be missed if you’re a fan of his work, or a fan of French literature in general. 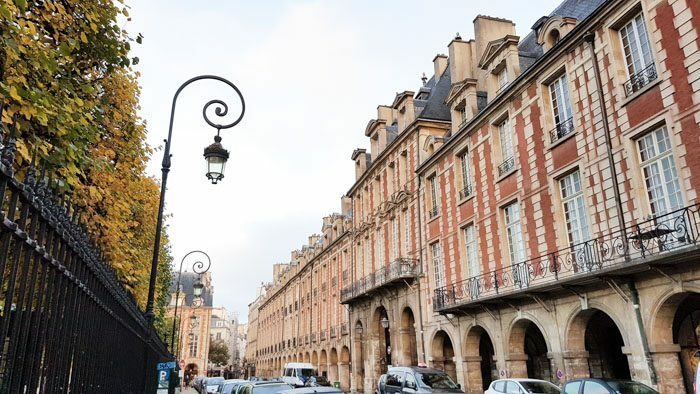 His house has a fantastic view out onto the Place des Vosges, a gorgeous square which is also the oldest planned square in Paris and a great place to snap a photo or two. Though the house is small, there’s no doubt about its historical significance, and you can’t help but feel like you’ve been transported back in time as you walk through its halls. X factor: You can actually visit the very room he died in, complete with bed and decor as it would have been at the time. A bit morbid, yet powerful. 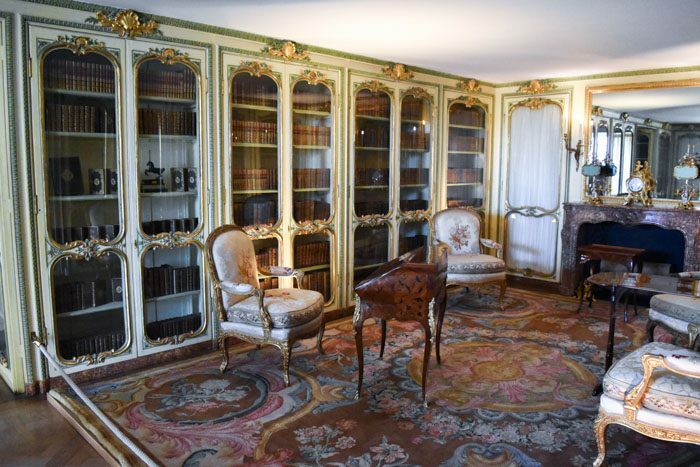 Though this bookish section was an admittedly small part of the overall Versailles experience, it bears noting because it’s such a fascinating snapshot into the lives of royalty, and how they treated and revered their books. The Queen’s Apartments are actually quite modest in comparison to the rest of the palace, which (if you check out the photos) you might find hard to believe! The books on display were tucked away behind glass cabinetry for safekeeping, but were still clearly visible to visitors sequestered behind the velvet rope. 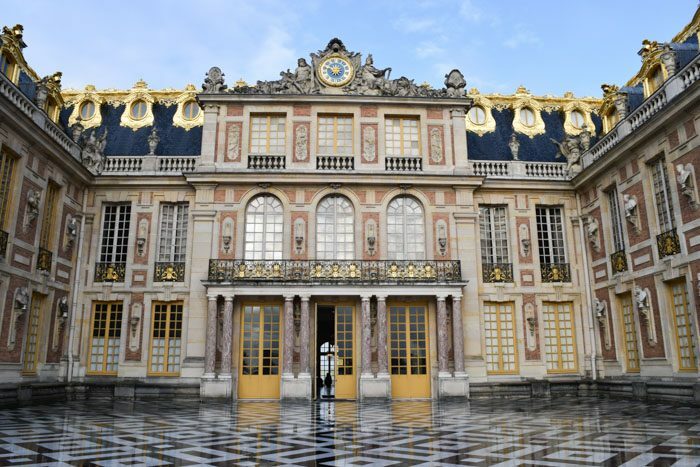 While the little library in the Queen’s Apartments certainly wouldn’t be your only (or even main) reason to visit the Palace of Versailles it bears mentioning because it is easy to miss, in an often overlooked section of the palace. X-factor: Just about everything about this place, honestly. Ah, Paris. What more can I say? An amazing city, with an amazing literary vibe, we could have spent twice the amount of time there and still only barely scratched the surface of what this city had to offer. But alas, one week was all we had.